Greenwood joins global communications agency as UK publicity director. Way To Blue has hired Emma Greenwood as UK publicity director. Greewood will head up the film publicity department in London, managing the agency’s international, digital and integrated teams. Greenwood joins Way To Blue after seven years in the publicity team at eOne where she handled titles including 12 Years A Slave and The Twilight Saga. Prior to eOne, she was at DDA Public Relations. Greenwood will report into Way To Blue head of communications Holly Larsen, who oversees the UK’s publicity and social team across the entire entertainment sector. Way To Blue clients include 20th Century Fox, Sony Pictures, Walt Disney Studios, StudioCanal, Universal Pictures, Hit Entertainment and Endemol. 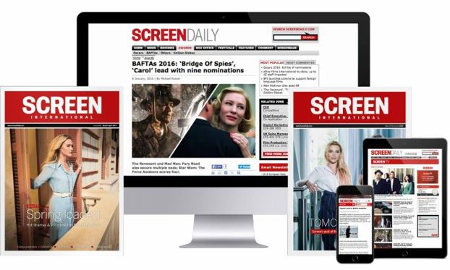 The agency recently acquired Screenburn Media, the UK-based marketing apps technology business. The move added to Way To Blue’s technology and intellectual property portfolio bringing on board a geo-targeted cinema listing and ticket purchasing app, a video on demand platform with transaction engine and real time reporting and analytics dashboards.